The Hispanic principal of New York City's High School of Art and Design was accused of systematically removing white and Jewish teachers. 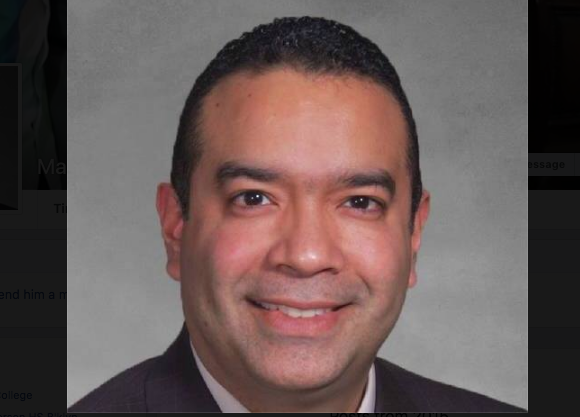 Several former teachers filed multiple federal lawsuits against Art and Design High School principal Manuel Ureña, alleging he would fabricate performance and disciplinary reports against teachers who were Jewish or Caucasian in order to fire them. Teacher Todd Young filed a lawsuit in Manhattan claiming that Ureña, who is of Dominican heritage, had a history of clearing out teachers on trumped-up complaints before replacing them with Hispanic teachers. “I think he hates us,’’ Peter Cohn, a former teacher at the Midtown Manhattan high school, told the New York Post Monday. The now retired teacher, who is Jewish, accused Ureña of suppressing complaints to the teachers union and creating an environment where employees feared for their jobs. "Morale is just incredibly low there. You walked around with a target on your back." Young's lawsuit, filed in March, named the New York City Department of Education and Superintendent Marisol Rosales as defendants. He listed himself and Maya Zabar, another teacher from the East 56th Street high school, as targets of Ureña's bigoted hiring and firing practices. Another federal lawsuit was filed in November 2017 by former teachers union chapter leader Gregory Agosto. Agosto accused Ureña of routinely disregarding teachers' rights and giving poor ratings to teachers without cause. While the United Federation of Teachers union and Ureña have both declined to make public statements regarding the lawsuits, NYC Department of Education spokesman Douglas Cohen told the New York Post they were taking the allegations very seriously. Nick Paolucci of the City Law Department is "actively litigating" the cases against Ureña. PTA leaders and other school officials told the Post anonymously that they believed Ureña was a great educator and the lawsuits were simply the product of disgruntled ex-employees.